We do not want the men in our lives feeling left out. They too can have a bespoke and personalised piece of their own. We have designed a symbolic version of the military style dog tag. 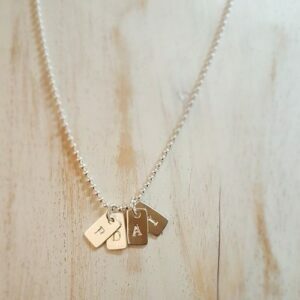 Mini sterling silver tags hand stamped with meaningful initials that resonate with the individual. What a wonderful way for our men to have their loved ones close and with them always. 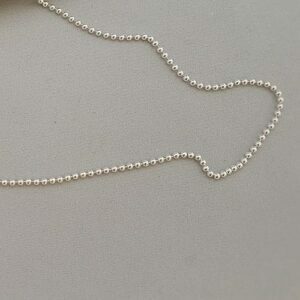 Our mini dog tag charms can be purchased on their own or hanging from a 20″ sterling silver 2mm ball chain, which is the archetypal chain for this military style iconic piece.